Always Enjoy the Perfect Cup of Hot Chocolate! Nothing says home like drinking the perfect cup of hot chocolate, and when you are RVing, having a cup of this incredible beverage is as easy as if you were sitting in your kitchen at home. There are so many different types of RVs, and when you find the one with the right amenities, you can enjoy relaxation and comfort anywhere you go. Hot chocolate in your RV will make you feel right at home! The main thing to look at when you want to add the comfort of home to an RVing trip is the kitchen. 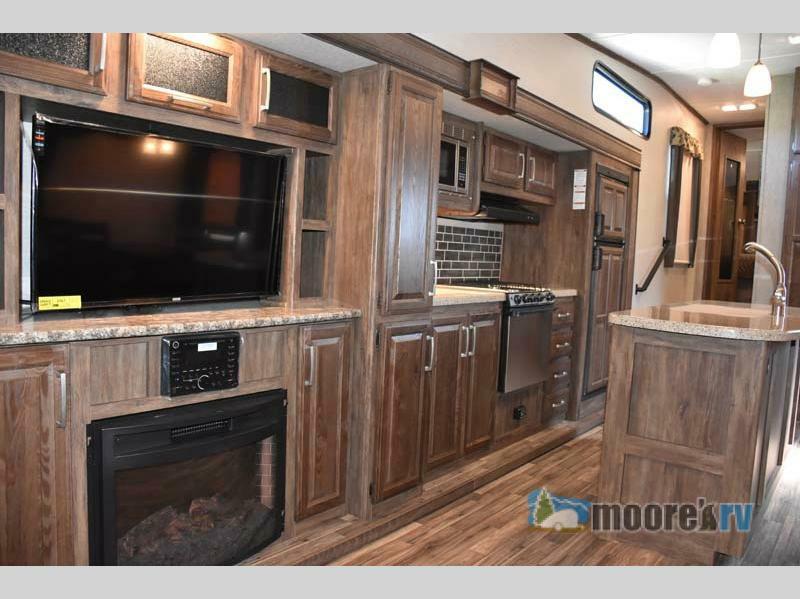 Many recreational vehicles whether they are motorhomes or travel trailers will come with a full kitchen area complete with fridge, stove, oven, microwave, and plenty of cabinets space including a pantry! With microwaves and stovetops, you can make instant or homemade hot chocolate with ease. Take ⅓ cup of unsweetened cocoa powder, ¾ cup of white sugar and a pinch of salt and put them in a saucepan. Boil water in a separate pot, and then blend it into the the mixture. Place it on top of one of the burners in your RV kitchen, and stir until it comes to an easy boil. Let this simmer for about 2 minutes, and then you can add in 3½ cups of milk and heat up until right before it boils. Then, simply remove it from the stovetop and add in ¾ teaspoon of vanilla extract to give it that punch of sweetness. If you want, you can add in ½ cup of half-and-half to bring the temperature of the hot chocolate down, and then, serve it in 4 mugs! Curl up by the fireplace with your hot chocolate! 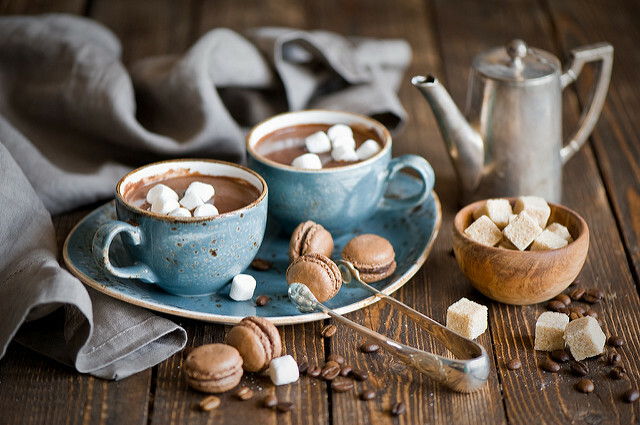 Once you have made this amazing hot chocolate, you can curl up by your RV’s fireplace, sit on a toy hauler’s outside ramp patio, watch TV inside or on an exterior TV, or snuggle up in the master bed and read a good book. If you are ready to find the comfort of home everywhere, contact us or stop by our location today. 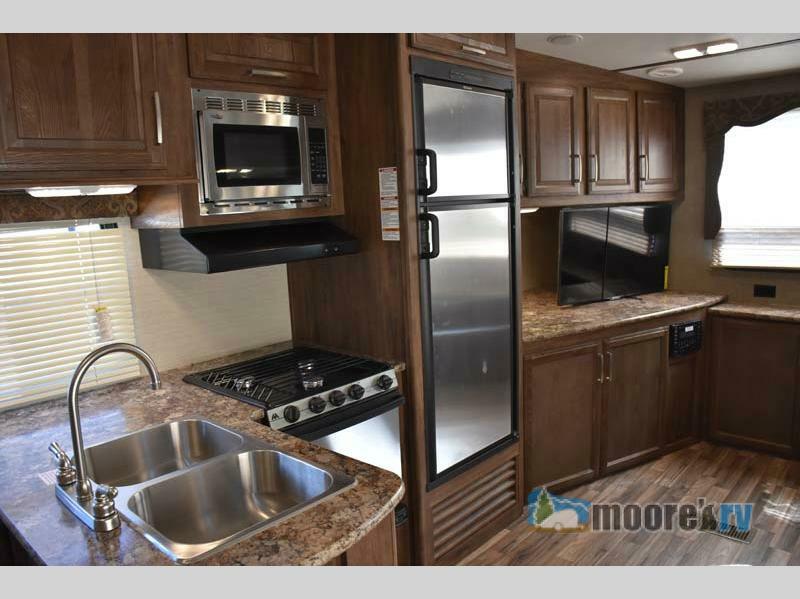 You can look at the many features of our motorhomes, travel trailers, and fifth wheels to give you the cozy place you need to enjoy this perfect cup of hot chocolate.